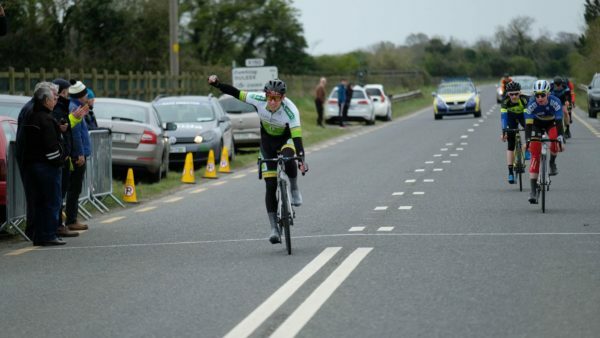 Having been on the attack from the gun in the Coombes Connor Memorial, Paul Forristal had the legs to finish the job and take victory. The Orwell Wheeler, a very successful late comer to the sport, was runner-up last year to Philip Lavery; the former pro rider having won the last two editions. Today Forristal scarpered from the main field immediately after the start in Co Meath with three other strong riders for company. In that move with him was a resurgent Anto Walsh; the former Rás Mumhan stage winner looking strong today for Dan Morrissey-MIG-Pactimo after a quieter time of late. 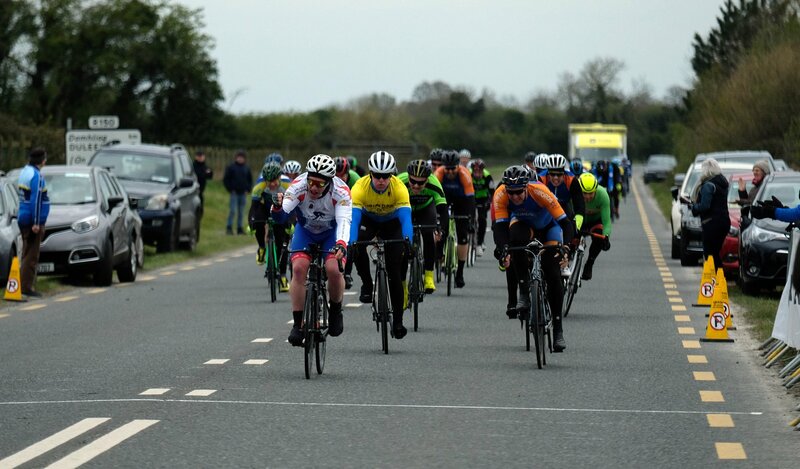 Also present was UCD Cycling Club’s Conor Murnane; ever-present in the results this year and third ranked rider in the country at present. South Dublin CC’s Sean Feeney was also in the group in the Drogheda Wheelers promotion main event, making for a powerful four-man escape. They set to work immediately and pulled out a gap, riding as a unit on the flat course on a very breezy day for about 80km. At that juncture of the 126km, nine lap race; Dermot Trulock bridged across to the leaders. And Walsh’s team mate Greg Swinand joined them, to make it six up front, on the last lap. However, Forristal had too much in the tank at the finish and won it well; his first win of the 2019 campaign. He claimed the victory from Murnane, Lucan CRC’s Trulock, Feeney, Walsh and Swinand; on that order. Best of the result was Trulock’s team mate Ronan Killeen, in 7th place, followed by another Lucan rider Andrew Keogh. Michael Green wins the A3 event from Colm Bracken and Oisin Smith. 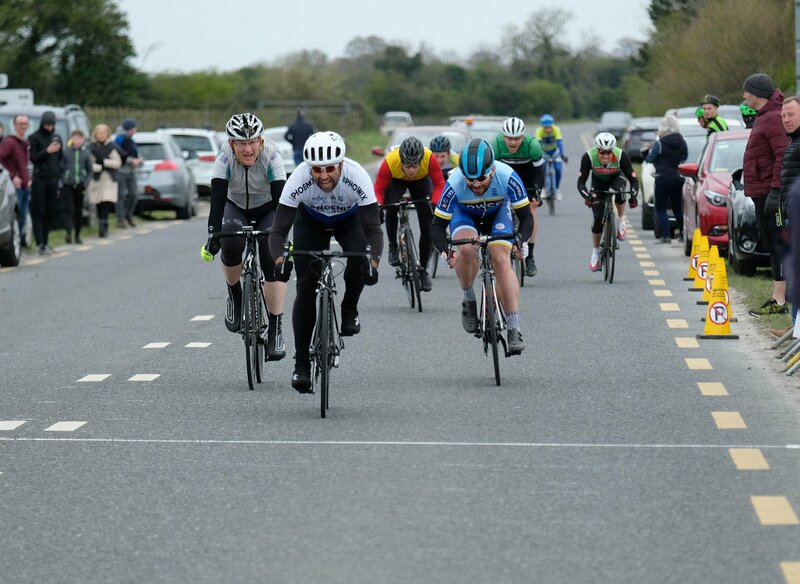 Brendan Keogh from Galway was best in the group sprint that settled the A4 race.